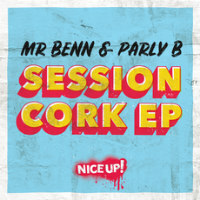 While the monkey might be tardy in posting about this, rest assured the ever canny Mr Benn popped out his new Session Cork EP collab. with Parly B in time for the Notting Hill Carnival. 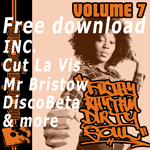 As anyone familiar with the Bristolian producer and Doncaster toaster will expect, the dancefloor vibes are fully dancehall ready. Gwarn Go Bathe and Heat Up are a brace of bubblers that lyrically consider how sweaty things can get in the midst of a gyrating mass of human bodies while the title track offers infinitesimally lighter (but no lesser quality) vibrations.